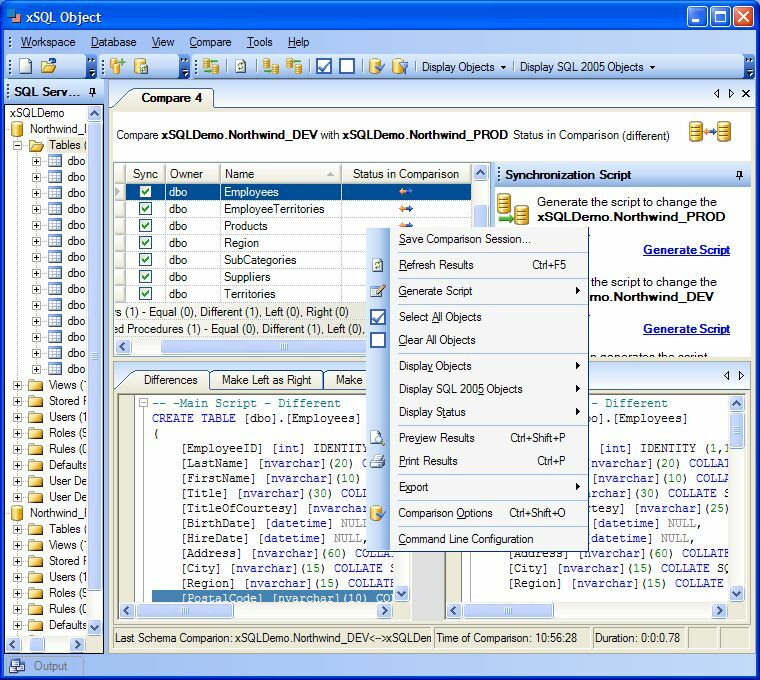 xSQL Object is a professional grade SQL tool for comparing and synchronizing SQL Server databases. Compare tables, views, stored procedures, functions - all objects - SQL Server 2000, SQL Server 2005 and SQL Server 2008. It allows the developers and database administrators to keep their development, testing and production environments in sync with minimal effort. Cross version comparison, schema snapshots, command line utility and a lot more. 8) Command line utility provides for scheduled, unattended comparison and synchronization operations; 9) Enhanced scripting capability - script any object or the whole database, script schema only or schema and data together. Qweas is providing links to xSQL Object 3.0.0.0 as a courtesy, and makes no representations regarding xSQL Object or any other applications or any information related thereto. Any questions, complaints or claims regarding this application xSQL Object 3.0.0.0 must be directed to the appropriate software vendor. You may click the publisher link of xSQL Object on the top of this page to get more details about the vendor.